Owen Witte, M.D. is the founding director of the UCLA Broad Stem Cell Research Center. 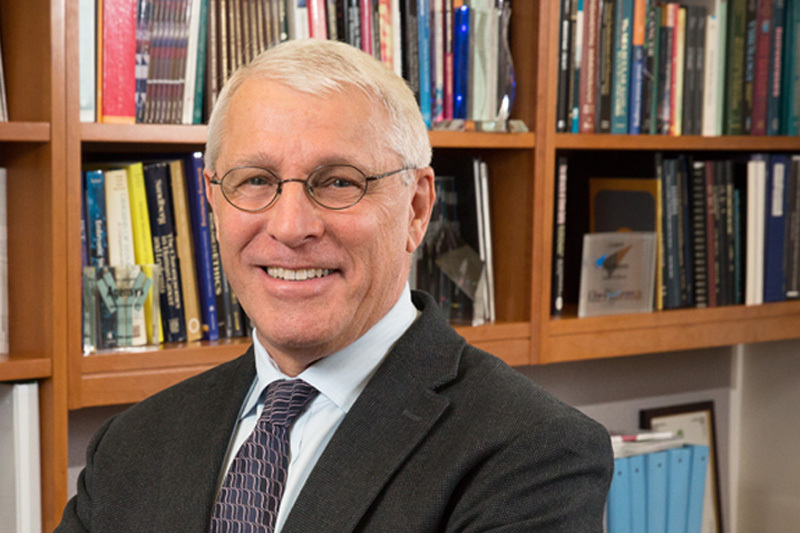 In this role, he advocates for science education funding and creates strategic partnerships that enable collaborative and multidisciplinary groups of clinicians, scientists and engineers to pursue breakthrough research with the shared goal of improving human health. Dr. Witte has made significant scientific contributions to the understanding of human leukemias, immune disorders and epithelial cancers. After graduating from Cornell University and earning his medical degree at Stanford, Dr. Witte did his postdoctoral fellowship at the Massachusetts Institute of Technology with Nobel laureate, David Baltimore. Dr. Witte’s early discovery of the tyrosine kinase activity in the ABL protein and the demonstration of the BCR-ABL oncoproteins in leukemias was one of the preclinical discoveries that led to the development of Gleevec, the first targeted therapy for chronic myelogenous leukemia. Dr. Witte also co-discovered the gene for Bruton's tyrosine kinase, a protein essential for normal B-lymphocyte development that, when mutated, causes the onset of X-linked agammaglobulinemia. This finding influenced the development of targeted drugs like Ibrutinib to treat leukemia and lymphoma. Dr. Witte is now pursuing prostate cancer research, taking several independent approaches to pinpoint specific biologic functions of Castration Resistant Prostate Cancer with the intent to improve survival and reduce side effects for men with this aggressive and deadly disease. Dr. Witte was recently appointed a University Professor by the University of California Board of Regents, an honor reserved for scholars of the highest international distinction. Dr. Witte’s work is funded by the National Institutes of Health, the Prostate Cancer Foundation, the W.M. Keck Foundation, the California Institute for Regenerative Medicine and the UCLA Broad Stem Cell Research Center, including support from the Concern Foundation for Cancer Research, Stanley and Myrna Zimmerman and the S.L. Gimbel Foundation. Dr. Owen Witte, director of UCLA's Broad Stem Cell Research Center and a Howard Hughes Medical Institute investigator, discusses cutting edge research and new developments in the life sciences.